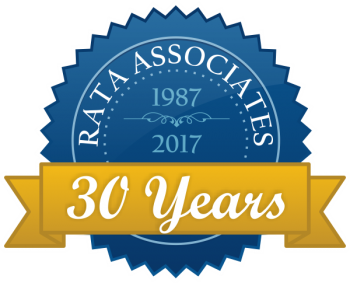 The HMDA/CRA component of the RATA Comply Suite has all of RATA Associates' 32 years of compliance and data processing knowledge built into it. All of the features and functionality needed to Import, Edit Check, Geocode, Submit and Analyze are built in to this amazing software package. 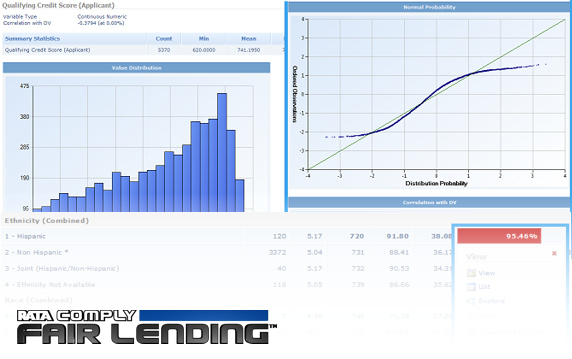 Comply Fair Lending is a robust software solution based on the FFIEC (Federal Financial Institutions Examination Counci) and CFPB (Consumer Financial Protection Bureau) Fair Lending Examination Procedures and is the simplest and most cost effective way to monitor potential risk associated with lending performance. Build both custom pivot tables and custom executive reports using the power of Microsoft Excel, SQL Server Analysis Services (SSAS) and your Comply Database. 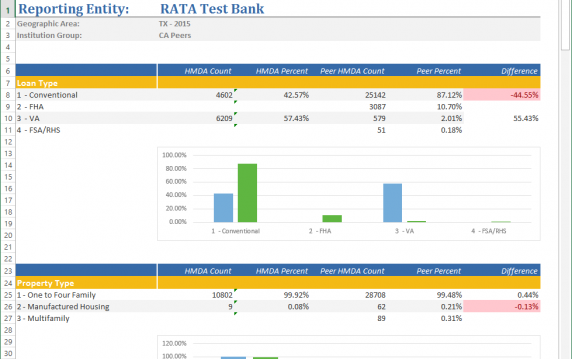 With this powerful configuration you are able to create reports using combinations of your latest HMDA and CRA data, peer data, demographic data, deposit data and more. When you choose RATA as your geocoding solution, you can rest assured that you have made the right decision. 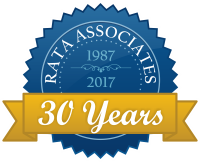 Using our proprietary processes and software, RATA's highly skilled professional staff geocodes millions of address records each and every year. There's simply no substitute for that kind of experience. We provide the most accurate and up-to-date HMDA/CRA compliance solutions in the industry. We offer a highly robust solution based on the FFIEC and CFPB fair lending examination procedures. 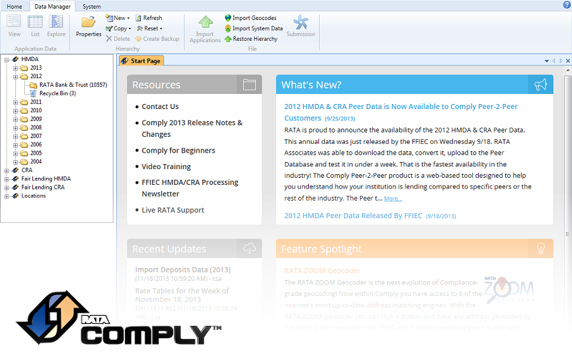 Build advanced reports quickly and easily using the Comply DataMine analysis tool. Customized mapping service to visually display and help analyze an institution's lending activity. 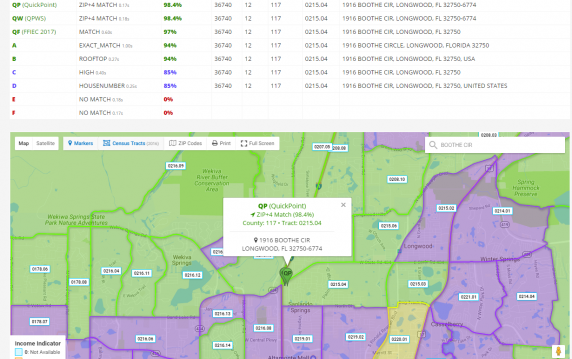 Regardless of the geocode service you choose, you will get the best value for your budget dollar.